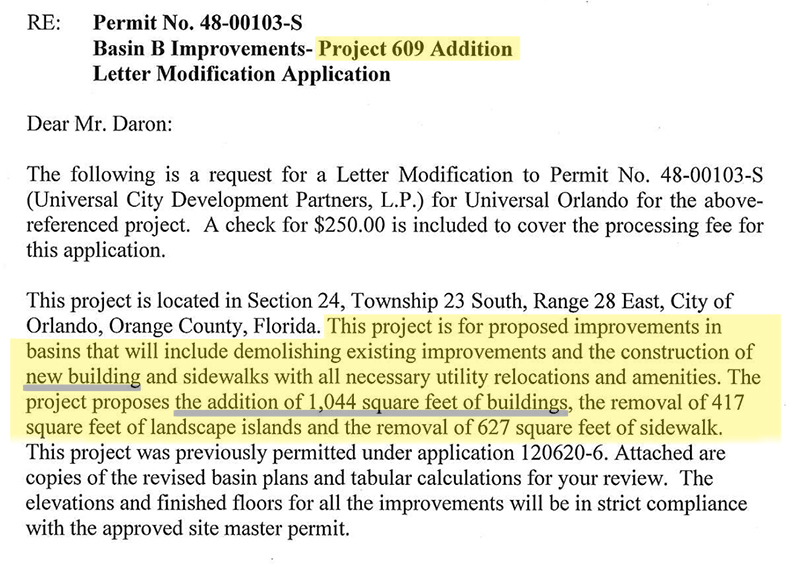 A recent filing with the SFWMD for a “Project 609 Addition” calls for a new 1,044 square foot building located between Mel’s Dine-In and Shrek 4D, next to Transformers: The Ride – 3D. 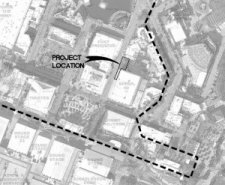 This location also happens to be directly across from the current outdoor meet and greet for the Transformers characters. Ever since the introduction of the Transformers characters in the park two weeks ago, there have been consistently long lines to have a photo taken with them, so moving the characters to a permanent, indoor location could make sense, given their popularity. 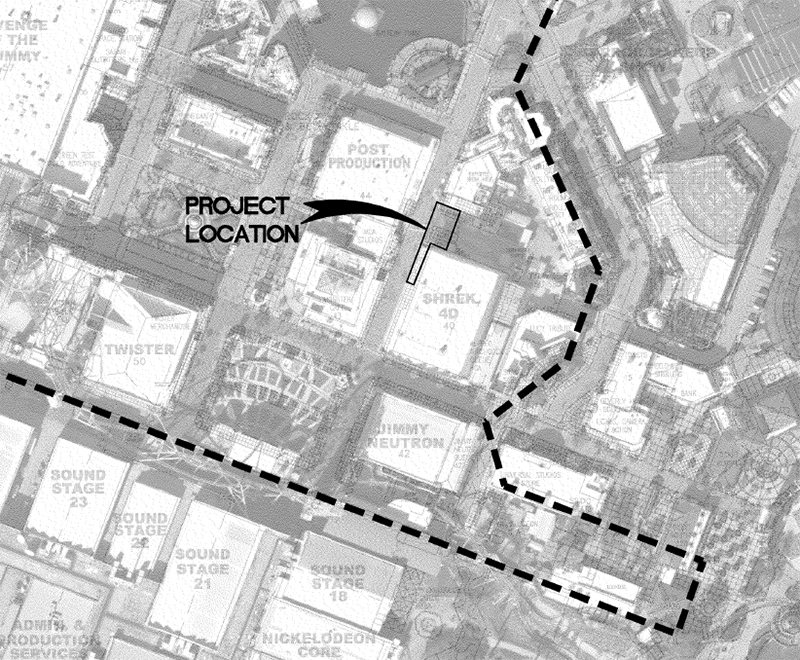 Universal has seen similar success with the introduction of the indoor meet and greet location in the Spongebob store, and even went so far as to completely re-do the Shrek and Donkey meet and greet after its original location had to be demolished to make room for the Transformers ride building. So clearly the idea of a permanent meet and greet isn’t unprecedented. Alternatively, and probably a bit less exciting, this could also be a new food and beverage kiosk that would feature the popular Energon drink sold at both Universal Studios Hollywood and Singapore. 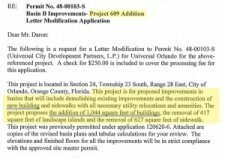 However, that beverage could just as easily be sold at roll-away carts and existing food and beverage venues, so the addition of an entire building seems a bit overkill. But without any solid proof either way, it’s anyone’s guess for now. Leave a comment below and let us know what you think it is!